Living in Florida, my girlfriend and I can often be found at the Walt Disney World Resort. After all, it’s only about an hour away and we have annual passes. 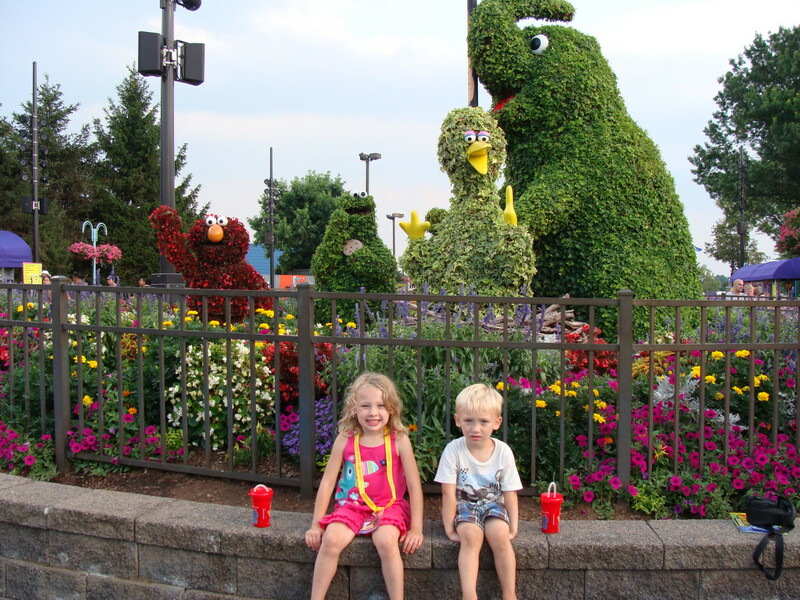 Recently, we had the opportunity to fly out to Anaheim, California and visit the Disneyland Resort. I was thrilled, for I had never been to Disneyland and had always wanted to go. We had a wonderful time and spent way too much money on souvenirs. After our return, many of my friends asked me what the difference was between the two resorts. There are a lot of similar things in each park. 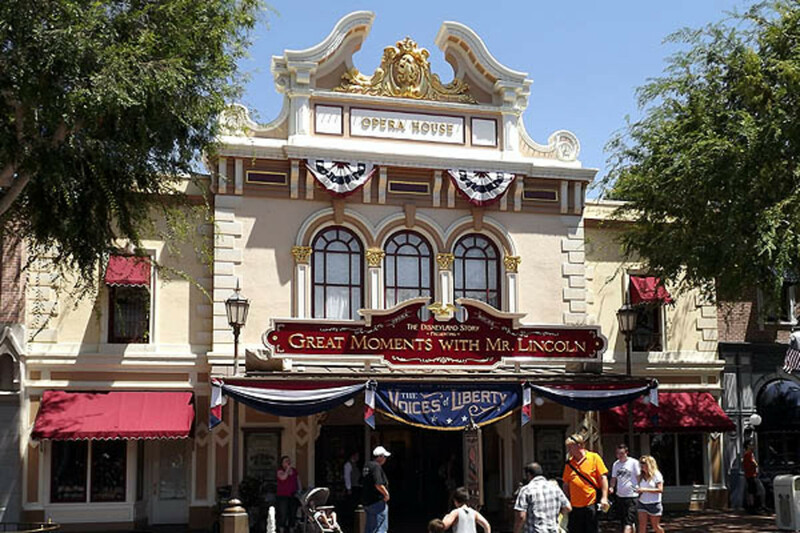 Some of the rides are the same with minor differences, but there are also a lot of rides that were exclusive to the California resort, just as there are rides that are found only in Florida. So here are some of the many differences. 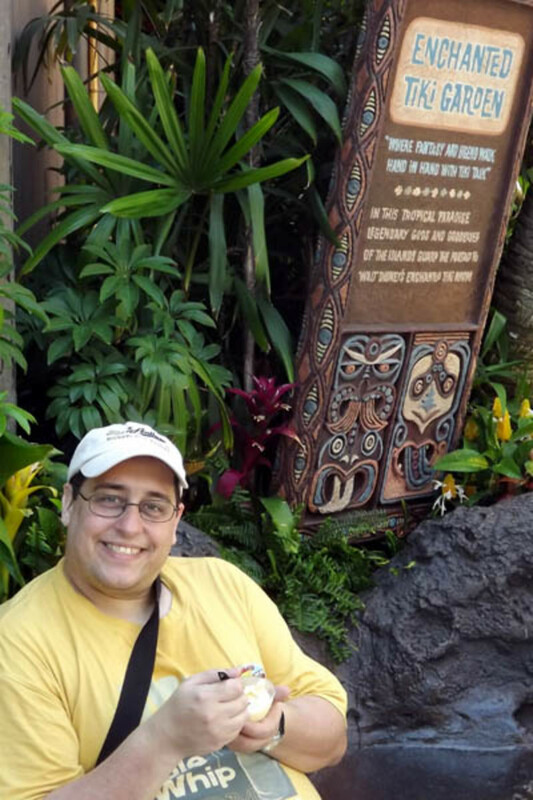 First I’m going to discuss what rides are found only in the Disneyland Resort, and then I’m going to talk about those rides you can only find at the Walt Disney Resort. Finally I’m going to compare and contrast the rides that exist in both resorts. I’m not even going to get into the many restaurants or hotels found on those properties as that can be a whole article by itself (also we didn’t stay on property in California, so I have no honest frame of reference). A quick note on terminology: when I refer to the Disneyland Park, I am referring to the original park that opened in 1955. 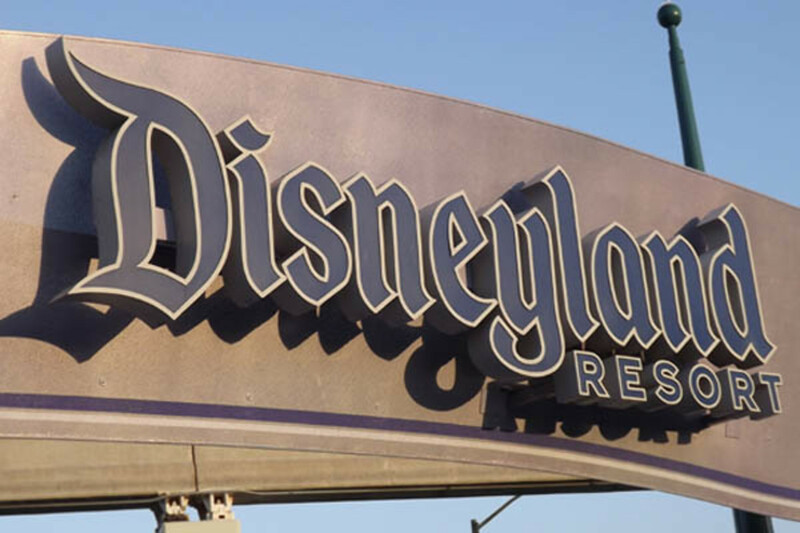 When I refer to the Disneyland Resort, I mean the entire complex: the Disneyland Park, Disney’s California Adventure, Downtown Disney and the hotels. Likewise when I say the Walt Disney World Resort, I’m referring to all four parks, the two water parks, the Downtown Disney area, and the hotels. Clear? Great. Let’s go. A lot of people think that Disneyland Park and Magic Kingdom are the same. They are very similar in structure and design. Both parks are shaped like a large wagon wheel with a castle in the center, and a lot of the lands have the same names: Adventureland, Frontierland, Fantasyland and Tomorrowland. They also have many similar rides, but one of the things I noticed was that everything was closer together. The Disneyland Park has a limited amount of space, and is surrounded by all sides by the city of Anaheim, so everything feels tighter. You can see one ride while you’re in line to ride another. 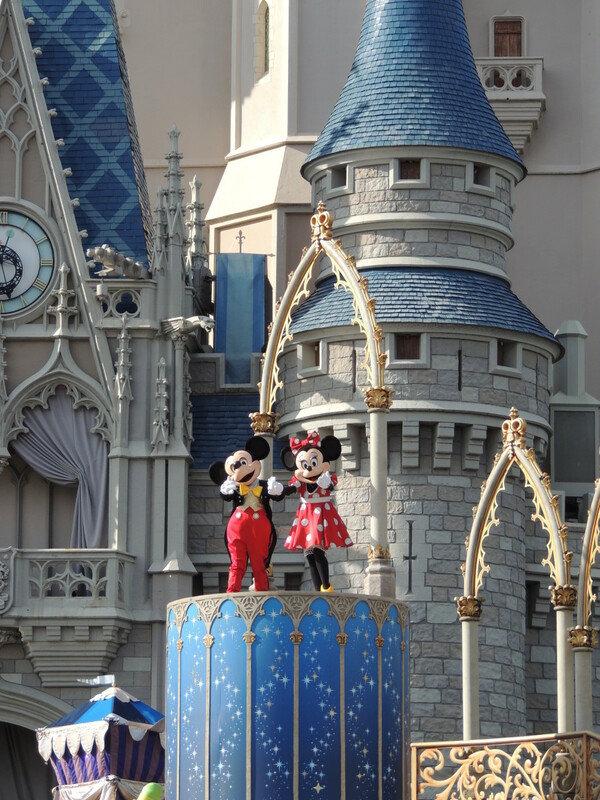 The Disneyland Park has 58 attractions, more than any other of the parks. We always tend to go counter-clockwise so let’s start with Adventureland. The one ride exclusive to California is Indiana Jones Adventure: Temple of the Forbidden Eye, which was added to the park in 1995. 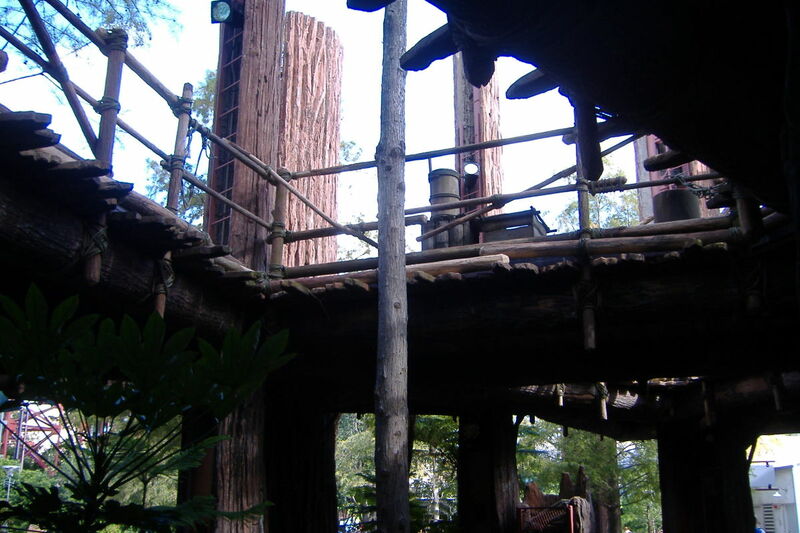 In the ride, you’re in a military troop transport that takes you on an adventure through the temple. The car itself is called an Enhanced Motion Vehicle, a motion simulator that moves the car around, as if you’re going over rough terrain. Fantasyland has a few “dark rides” that only exist in California. They’re called “dark rides” because they are completely indoors and are lit from within. Pinocchio’s Daring Journey and Alice in Wonderland take the riders through the individual stories. Two of the dark rides: Mr. Toad’s Wild Ride and Snow White Scary Adventures used to also be found in Magic Kingdom, but Mr. Toad has been replaced by The Many Adventures of Winnie-the-Pooh ride and Snow White has been replaced by a princess meet-and- greet, but eagle eyed riders will notice a few tributes. 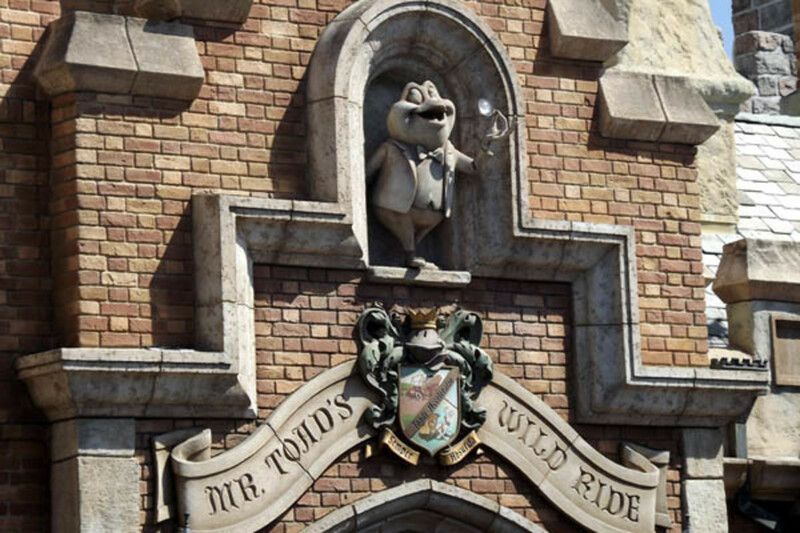 Mr. Toad is shown in a portrait giving Owl the deed to the building, a statue of Mr. Toad lives in the Haunted Mansion pet cemetery, and the vultures from Snow White can be seen on the Seven Dwarves Mine Ride. Fantasyland also has two rides that give riders a view of miniature sets, Casey Jr. Circus Train and Storybook Land Canal Boats. The miniatures are often updated, the latest being the land of Arendelle from Frozen. Nearby is Mickey’s Toontown which has Roger Rabbit’s Car Toon Spin. Looming over the park is the Matterhorn Bobsleds. Recently refurbished in 2012, the ride consists of two parallel roller coasters which dart through the tunnels of the mountain. There’s also an Abominable Snowman. Over in Tomorrowland, there is a submarine ride based on the Pixar film Finding Nemo. 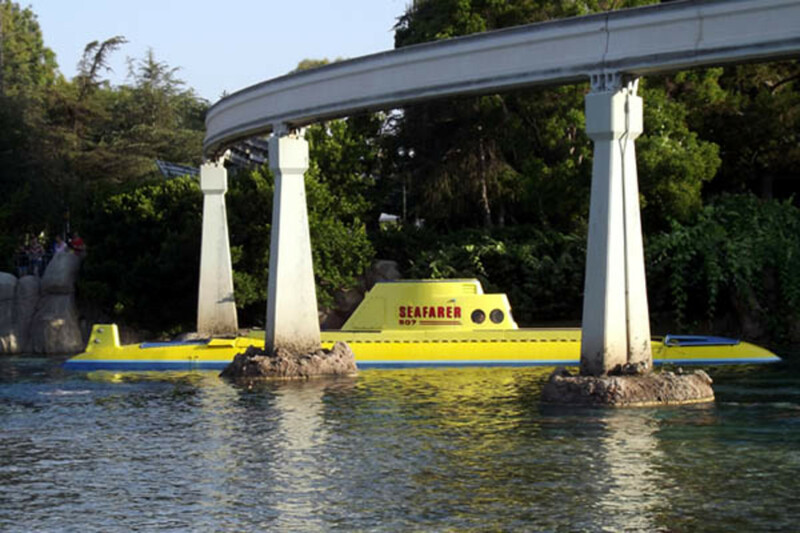 It was originally a submarine voyage ride, but was closed down for an extended time until it was redesigned with characters from the Pixar film. There used to be a similar ride at Magic Kingdom based on 20,000 Leagues Under the Sea, but it closed in 1994. Across the way is Disney’s California Adventure. It opened in 2001 and wasn’t doing well, until an expansion and overhaul to the park was completed in 2012. We got to see it only two months after it reopened. Monsters, Inc.: Mike and Sully to the Rescue is located in the Hollywood land area. Like other dark rides it takes you through the story from the Pixar film. The Grizzly Peak area has the Grizzly River Run, one of the longest, tallest and fastest river rapids ride in the world. A Bug’s Land is designed as if the guest is the same scale as the characters from A Bug’s Life and hosts rides like Flik’s Flyers and Heimlich’s Chew Chew Train, which were designed for smaller kids. 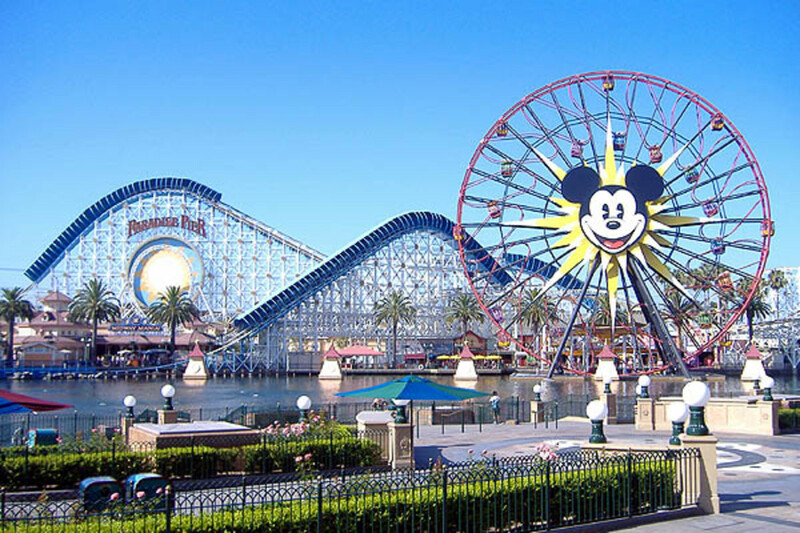 A major part of the park is Paradise Pier, which is styled after a seaside amusement park from the 1920s. 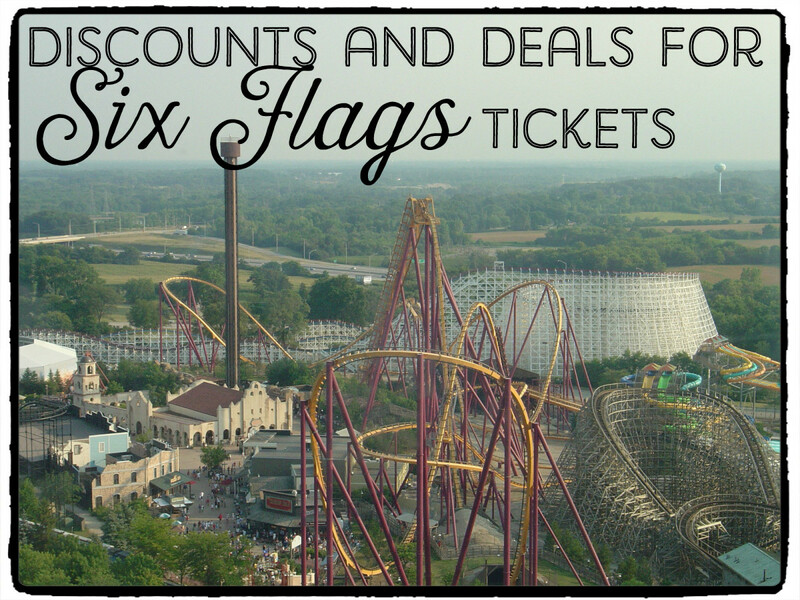 It has a roller coaster, California Screaming and a Ferris wheel called Mickey’s Fun Wheel. The area also contains smaller amusement park rides like Silly Symphony Swings and the Golden Zephyr. However, the best thing in California Adventure is Cars Land. It is a recreation of Radiator Springs from the film Cars. 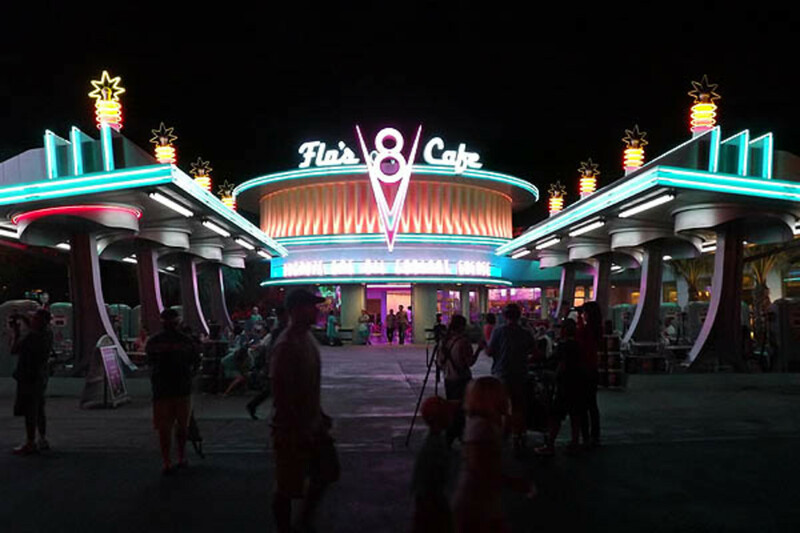 You can walk right down Route 66 past Flo’s V8 Café. It looks fantastic at night! Originally the park had a ride called Luigi’s Flying Tires, which worked like a large air hockey table, but it has since closed to be refurbished. It also has a whip ride called Mater’s Junkyard Jamboree, but the centerpiece of Cars Land is Radiator Springs Racers, easily the best ride in any of the Disney parks. 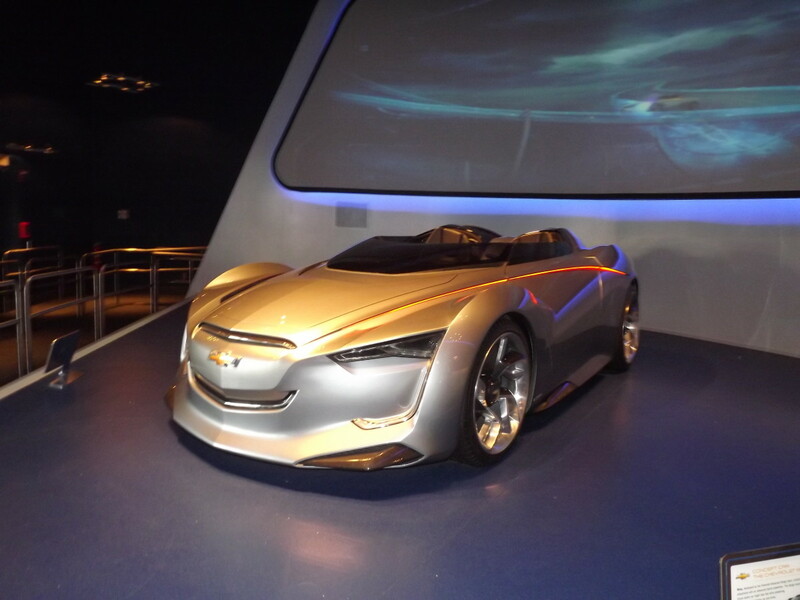 It’s a combination of dark ride and Test Track. You cruise around in a car through Monument Valley before entering Radiator Springs and get advice from Doc Hudson before racing another car through Taillight Caverns. There is a rumor that Cars Land will come to Walt Disney World. I certainly hope it does! 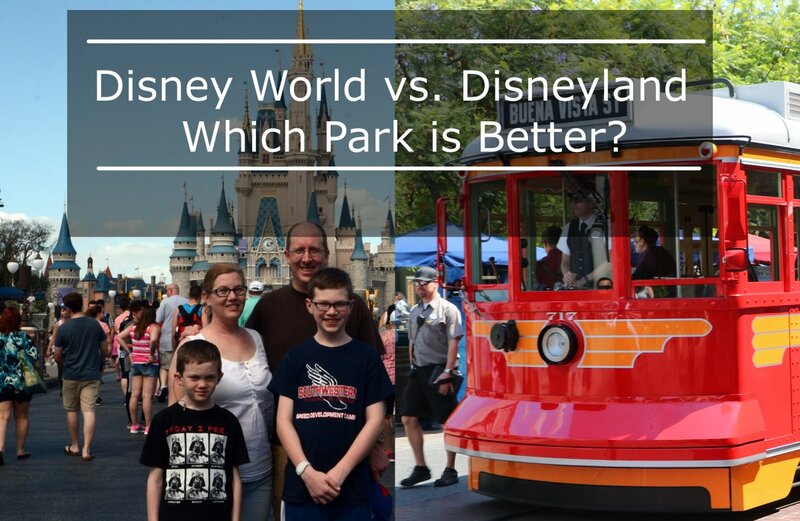 The biggest difference between the two parks is the abundance of space that was set aside in Florida. 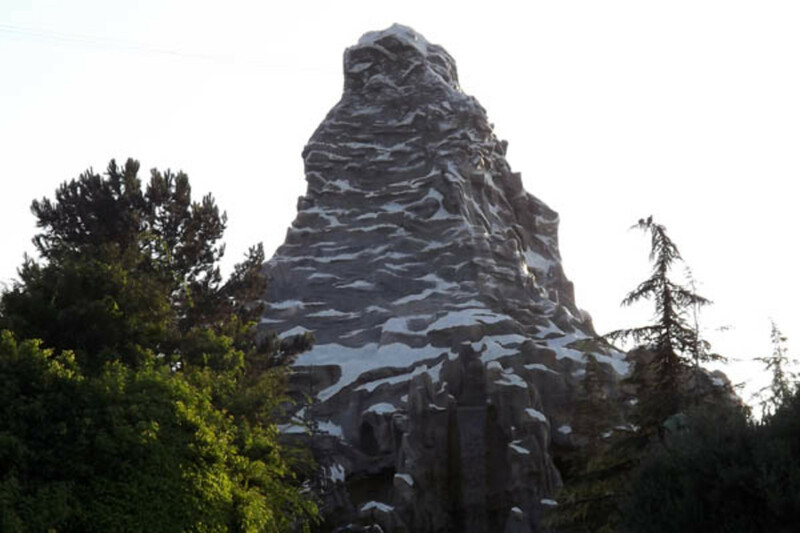 While you can see the Matterhorn from Interstate 5 in Anaheim, you would have no idea a park even existed when driving on Interstate 4 in Orlando. As such the parks are roomier with much more space between the rides. 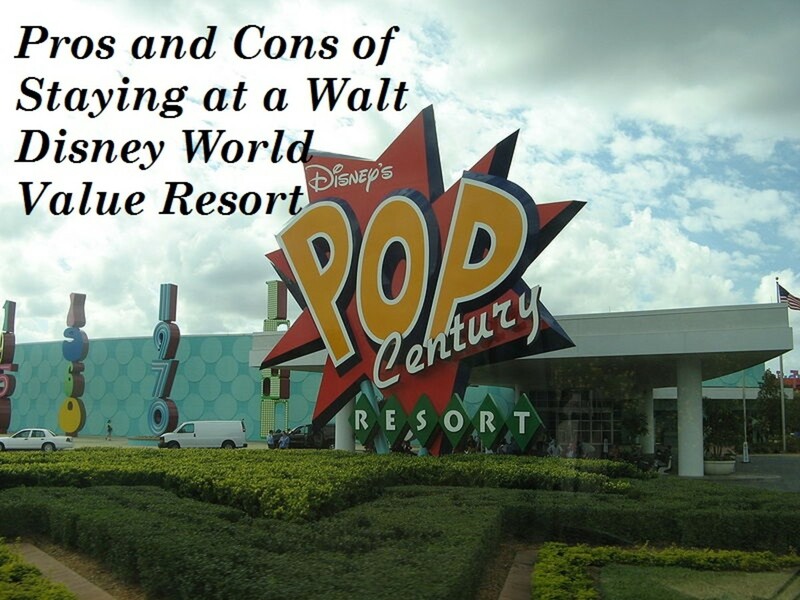 The Walt Disney Resort has the advantage of having four separate parks. Magic Kingdom is very similar to Disneyland in structure, but has rides that exclusive to Florida. Two of them, The Carousel of Progress and The Country Bear Jamboree originally existed in California but have since been replaced. The Tomorrowland area has two unique rides, the Monsters, Inc. Laugh Floor which is an interactive animated comedy show and Stitch’s Great Escape which replaced The ExtraTERRORestrial Alien Encounter in 2004. The newest change to Magic Kingdom is the Fantasyland expansion. 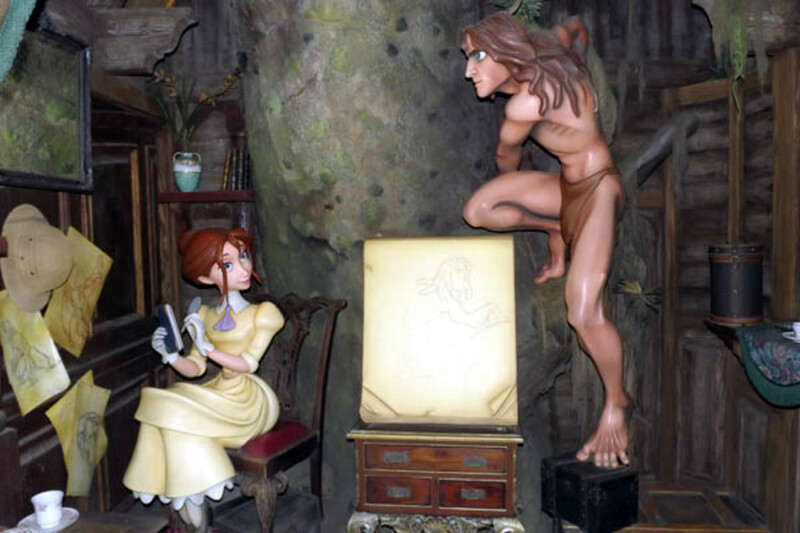 It is home to Enchanted Tales with Belle, an interactive story with an animatronic Lumiere as well as Seven Dwarfs Mine Ride. Opening in 2014, riders travel in a tilting vehicle resembling a mine train that takes you through the mine and over the hills. Epcot boasts two of my favorite rides. The first one is Mission: Space, a shuttle simulator recreating a voyage to Mars. You’re in a giant centrifuge and you experience a force of 2.5g. It’s the only ride I know that comes with barf bags. The other ride is Test Track, a slot car attraction that runs through testing simulations before racing you around a track at 65 mph. It was updated in 2012 to allow you to design your own car. 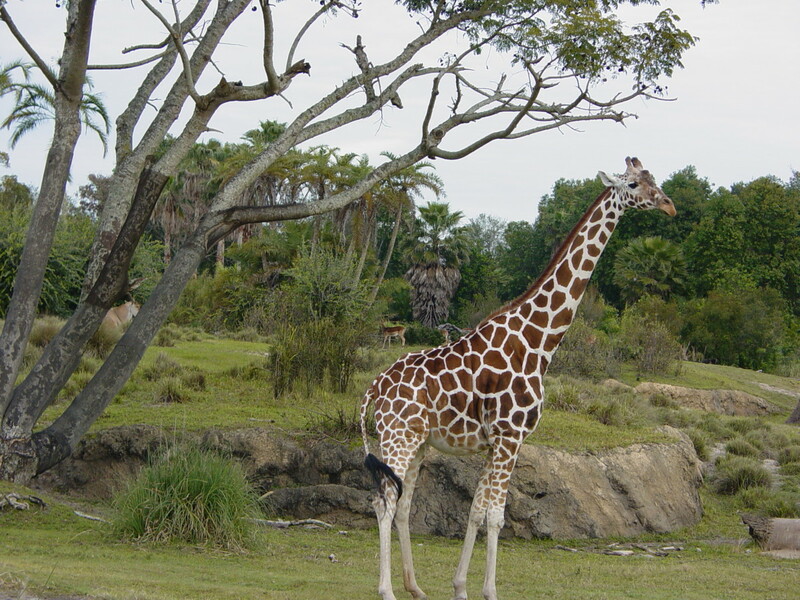 Hollywood Studios only has one ride that exclusive to Florida, and that’s the Rock and Roller Coaster featuring Aerosmith, but Animal Kingdom has rides that exist nowhere else mostly due to the fact that it’s a large zoo. 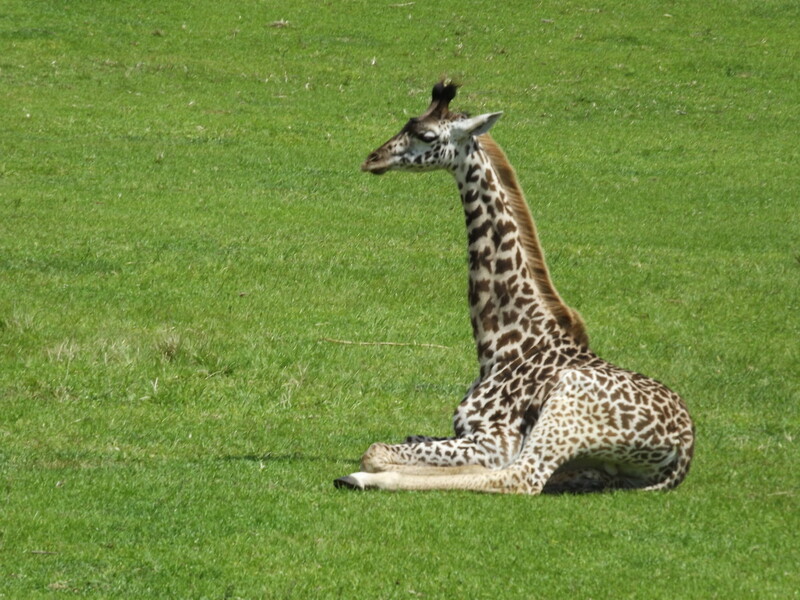 The real centerpiece of the park is the Kilimanjaro Safaris. You’re driven around in a large truck and you can see a whole bunch of animals. This is the reason to go to this park. 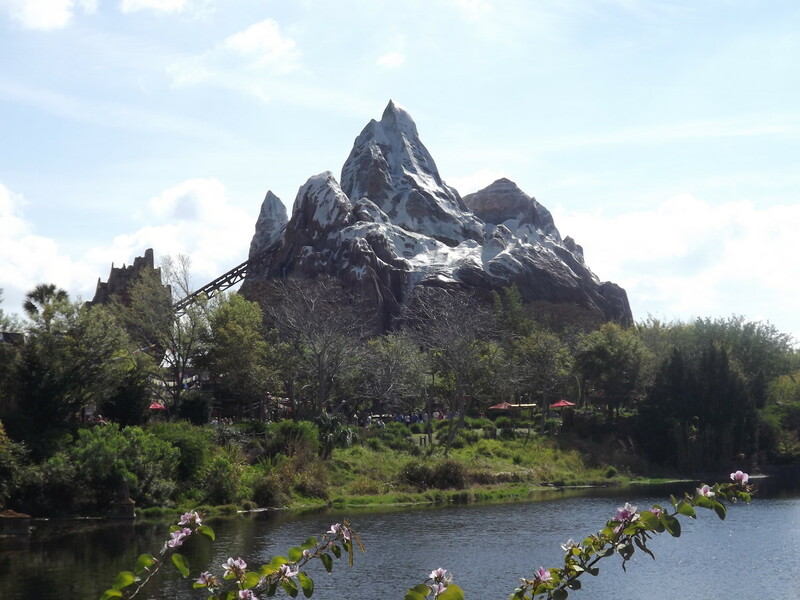 Unless of course you want to ride Expedition Everest, one of my favorite roller coasters. After ascending to the top of the mountain the rail appears to be broken and you travel backwards down the mountain for a while. You can also ride Kali River Rapids, or head on over to DinoLand U.S.A. and ride Dinosaur, which has an Enhanced Motion Vehicle similar to the Indiana Jones ride. There are rides that you always have to experience, and the good people at Disney knew that they had to put them not only in both American resorts, but also the ones in Europe and Asia. Some of them are identical to each other with changes to the façade and others contain major differences unique to their respective resort. One of the man differences between the two resorts is the design of the rides to accommodate Florida’s weather. Most of the California queues are outside whereas a lot of the Florida queues are inside or at least covered due to the heat and humidity of the Florida climate. The Anaheim park doesn’t get nearly as hot as the Orlando park as Orlando is over 400 miles closer to the equator than Anaheim. It’s Tough to Be a Bug exists in both resorts, the show is the same but the only difference is that the one in Animal Kingdom is located in The Tree of Life while the one in California Adventure is located through a replica of Ant Island. Muppet Vision 3D is practically the same with different queues. 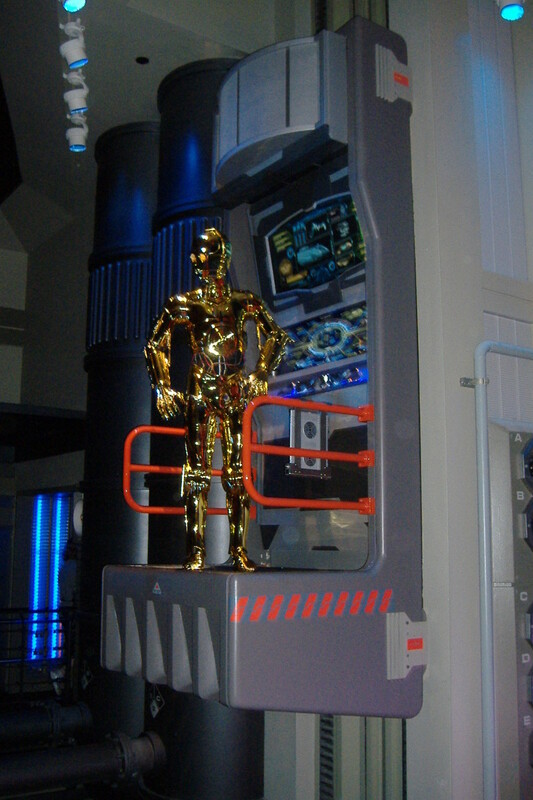 In Hollywood Studios the façade of Star Tours—The Adventure Continues is an AT-AT next to an Ewok village, whereas the same ride in Disneyland is designed to fit in with the rest of Tomorrowland, but the ride itself is exactly the same. Turtle Talk with Crush and Soarin’ Over California are the exact same rides in both resorts, but housed in existing pavilions in Epcot, while the queue for Soarin’ in California is an airplane hanger with different planes. However there are rumors that additional filming has begun to create a unique film for Epcot. 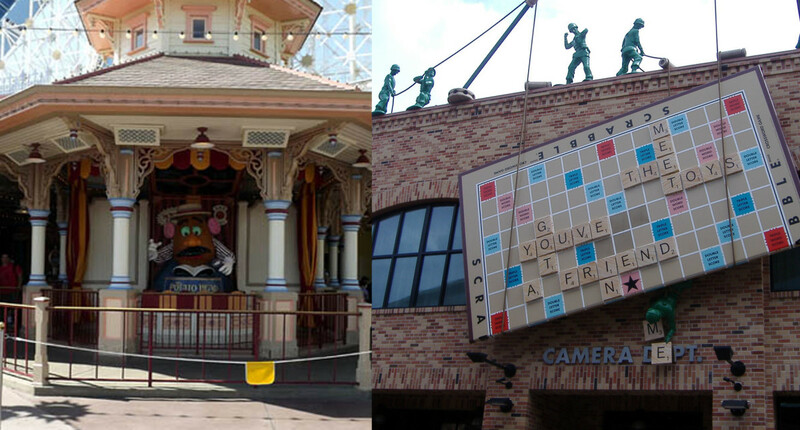 The popular ride Toy Story Midway Mania is the same ride in both resorts, but in California the queue is in a covered pavilion with the animatronic Mr. Potatohead outside. 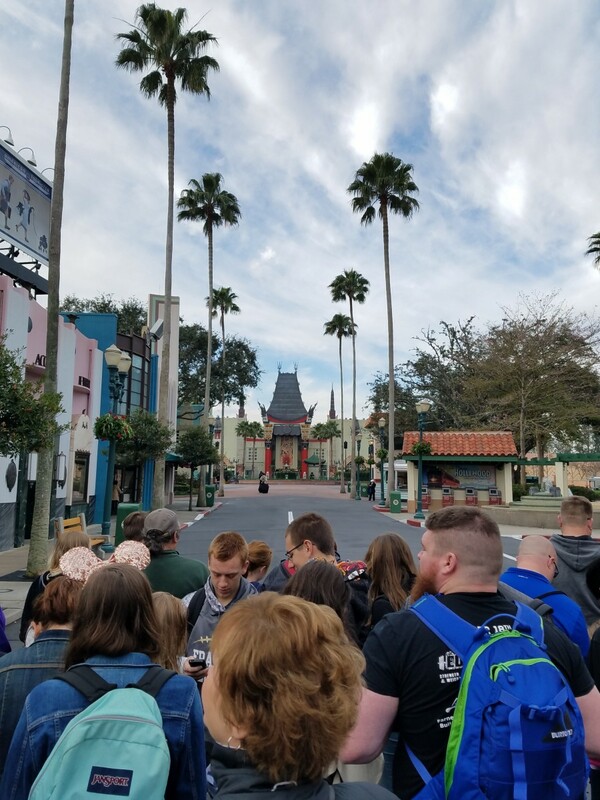 In Florida, the queue is inside along with Potatohead, but Hollywood Studios plans to add a third track to the ride to meet the increased demand as the ride is the most popular one in the park. 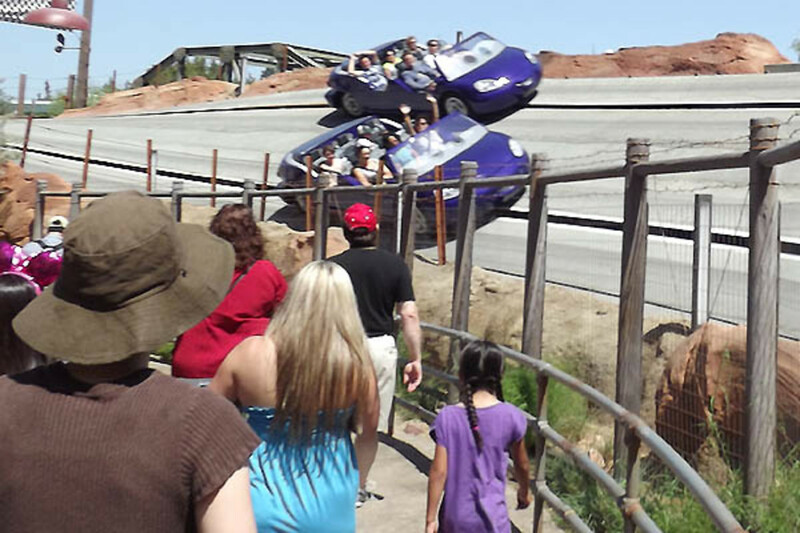 Autopia in Disneyland and The Tomorrowland Speedway are different in name and track layout. Toy Story Midway Mania. Left: California Adventure. Right: Hollywood Studios. A new addition to the New Fantasyland in Magic Kingdom is Under the Sea: Journey of the Little Mermaid. The exact ride exists in California Adventure as The Little Mermaid: Ariel’s Undersea Adventure. Other than the name, the only difference is the queue. In California, the exterior resembles an early Twentieth Century Aquarium to fit in with the décor of the park. In the New Fantasyland, the queue is designed as Eric’s Castle and features and interactive game with Scutttle. Peter Pan’s Flight keeps the same name in both parks, but the Magic Kingdom version recently added an interactive queue as the line for is this ride is usually very long, even with the omnimover ramp. Left: California Adventure. 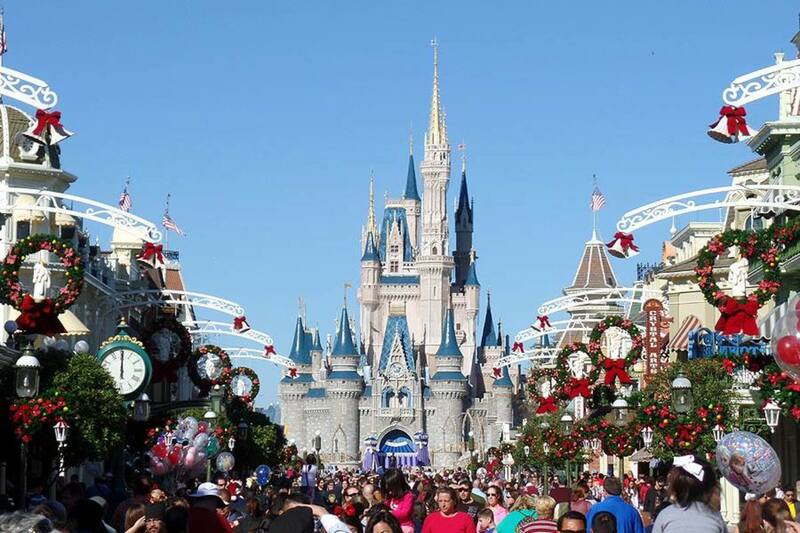 Right: Magic Kingdom. Both Magic Kingdom and Disneyland have three rides with “Mountain” in their name, and they are most similar but with little differences. 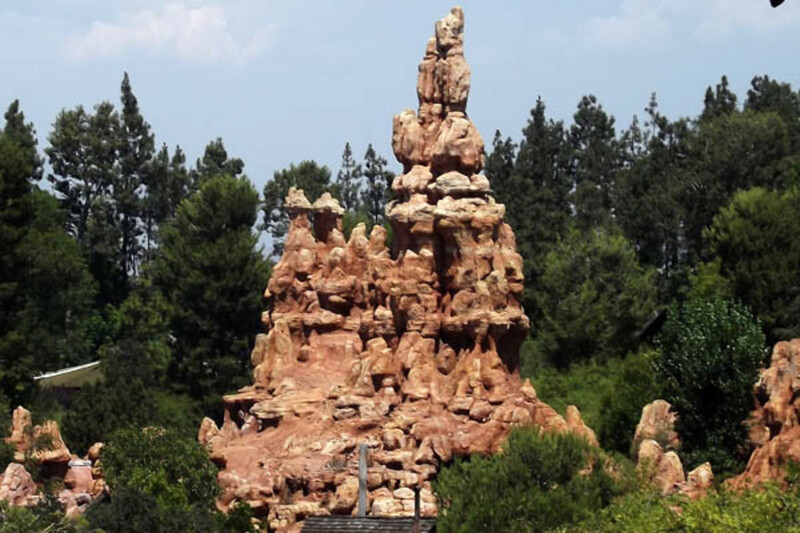 The Disneyland version of Big Thunder Mountain is based on the hoodoos of Bryce Canyon National Park in Utah. The Magic Kingdom version is slightly bigger and based on Monument Valley. It also has a covered queue based on an abandoned mine. Splash Mountain in Magic Kingdom has the railroad running through it, and the one in Disneyland features snoring from Brer Bear’s cave, and tribute to Bear Country, the former name of the area. 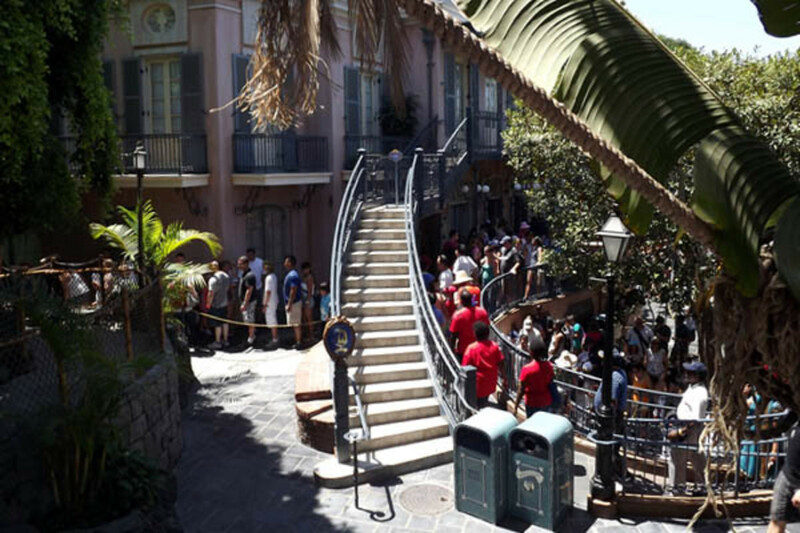 The flumes in Disneyland are single file while the ones in Magic Kingdom ride two by two. The track layouts for the Disneyland Space Mountain was altered from the original design for Magic Kingdom due to space limitations, and the Florida ride sits on the other side of the train tracks outside the park. The Jungle Cruise sits in the same location in both parks, but the rivers are different orders. 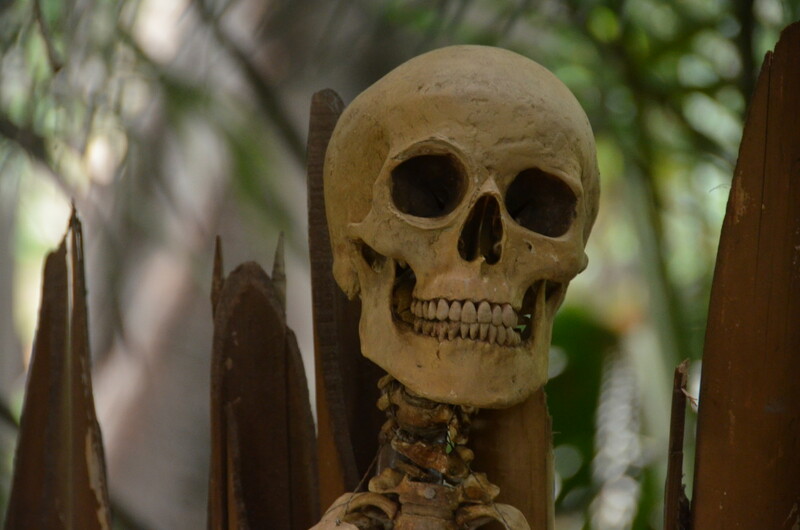 Disneyland starts with the Irrawaddy and Mekong, followed by the Nile, the Congo and finally the Amazon. Magic Kingdom starts with the Amazon, then the Nile, the Congo, and ends with the Mekong. Different plants had to be chosen to accommodate Florida’s climate. The railroad in Disneyland contains a diorama of dinosaurs called Primeval World. The Twilight Zone Tower of Terror was first built for Hollywood Studios. The back of it was designed to blend in with the Morocco pavilion at Epcot and runs on a loop system. When it was brought to California Adventure it was redesigned with three separate shafts and duel loading floors. While Disneyland has Great Moments with Mr. Lincoln, Magic Kingdom has the Hall of Presidents featuring all the presidents (due to be updated in 2017, of course). Personally if I were elected president the first question I would ask would be when I got to record my speech for the Hall. The famous “it’s a small world” ride has many differences. The queue for the Disneyland ride starts outside with the exterior of the structure displaying Mary Blair’s design. The ride was updated with dolls representing iconic Disney characters. Magic Kingdom’s ride has a queue that is indoors with a similar design. It retains the classic characters but has a final room with the word “Goodbye” translated into several languages. The Dumbo ride in Disneyland has only one carousel with Timothy in the middle, while Magic Kingdom has two carousels with Timothy on the sign as well as an interior queue with a child’s playground. Originally both versions of Mad Tea Party were open to the air but a roof was added in Magic Kingdom in 1974 to protect riders from the hot Florida sun. It's a Small World. Left: Disneyland. Right: Magic Kingdom. The Many Adventures of Winnie-the-Pooh caused controversy in both parks. In Magic Kingdom it replaced Mr. Toad’s Wild Ride in 1999. In Disneyland, it replaced The Country Bear Jamboree in 2003, but kept the mounted heads of Max, Buff, and Melvin. The Buzz Lightyear rides are very different in each park. The names are different: AstroBlasters in Disneyland and Space Ranger Spin in Magic Kingdom. Magic Kingdom’s version has a speed tunnel left over from the previous attractions If You Had Wings, and the guns can be removed from their holsters in the Disneyland version unlike in the Florida park. The author enjoying a Dole Whip. The Haunted Mansion is one of the most popular rides in both parks. 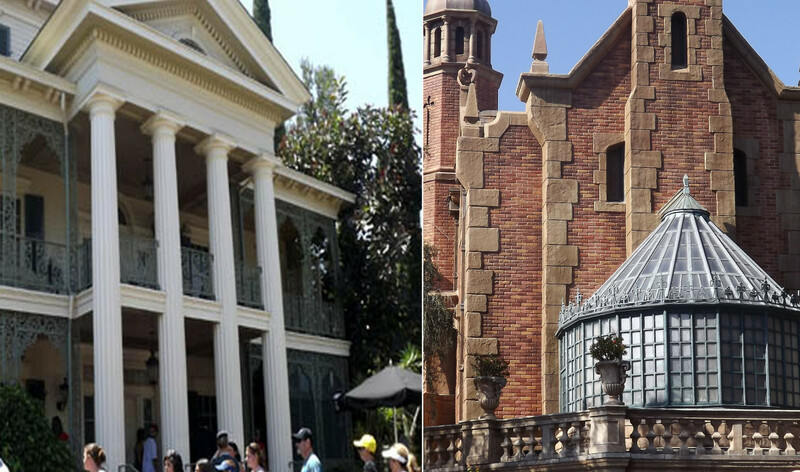 In Disneyland the exterior represents a Gothic Southern Mansion complete with columns. The famous stretching room is actually an elevator that sends guests down to a lower level. This connects to a tunnel that takes guests beneath the train tracks. The actual ride is located on the other side of the tracks outside the footprint of the park. Magic Kingdom’s version represents a New England style mansion. Guests now enter through a graveyard. The portrait room in this version doesn’t lower but the ceiling rises. The Haunted Mansion. Left: Disneyland. Right: Magic Kingdom. Pirates of the Caribbean has changed a bit due to the success of the film franchise starring Johnny Depp. The ride has added Depp’s character Captain Jack Sparrow as well as other characters from the film. The Disneyland version is longer. Starting in New Orleans Square the boats pass by the Blue Bayou restaurant (I recommend the salmon or the crab cakes) before experiencing two drops. Once again the drops serve to allow the boats to pass underneath the railroad. 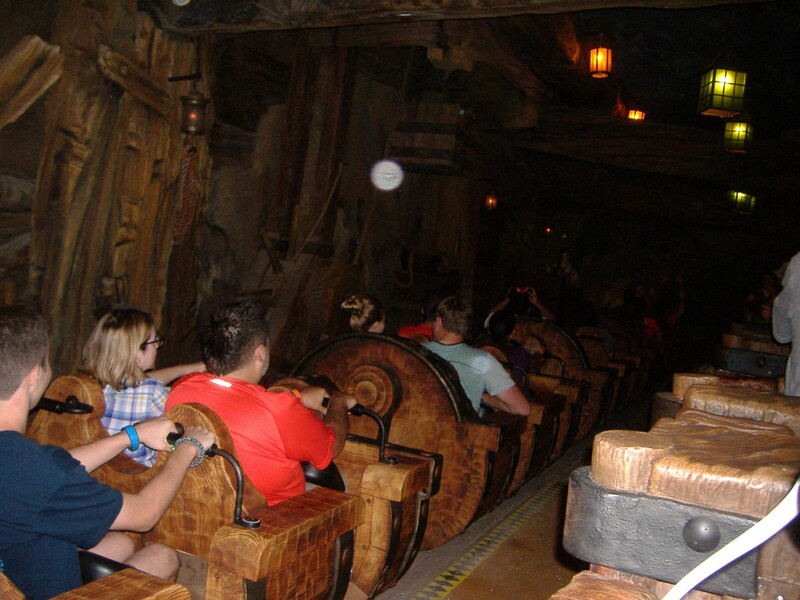 The ride contains an additional sequence of pirates drunkenly firing at each other. The Magic Kingdom version added a projected image of Bill Nighy’s Davy Jones on a cloud of mist, which was later changed to Ian McShane’s Blackbeard after the release of the fourth film. Also added were shimmering mermaids that swam past the boat. Another question I get asked is which one do I like better? Well I can’t really answer that. After all I live in Florida and Walt Disney World feels like a second home to me sometimes, but I was just as thrilled to see Disneyland. I wish we had more than three days, but we managed to cram in just about everything. It’s not a competition. Would I advise people who live in Florida to fly out to Anaheim and vice versa? Absolutely. Okay, I know it's hard to choose, but what's your favorite Disney ride?